The Coptic SCRIPTORIUM project is pleased to announce that we have been awarded two grants from the National Endowment for the Humanities. A grant from the Office of Digital Humanities will support tools and technology for the study of Coptic language and literature in a digital and computational environment. A grant from the Division of Preservation and Access will support digitization of Coptic texts. Google has transformed the way we seek knowledge, and most questions can be answered with, “There’s an app for that,” but there are still corners that no search engine or web application have yet reached, among them rare writings in a dead Egyptian language. 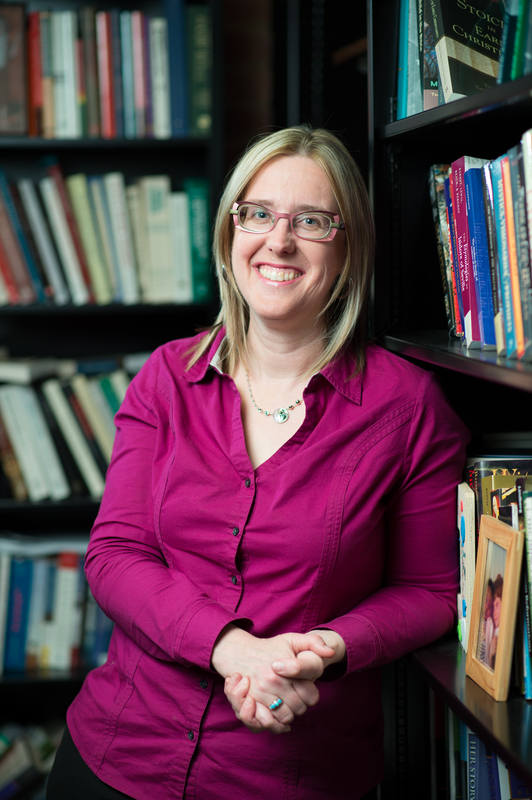 With $100,000 in new grants from the National Endowment for the Humanities, Caroline T. Schroeder, associate professor of Religious and Classical Studies at University of the Pacific, plans to change that. Working in collaboration with her project co-director, Amir Zeldes of Humboldt University in Berlin, Schroeder’s goal is to make Coptic accounts of monks battling demons in the desert, early theological controversies, and accounts of life in Egypt’s first Christian monasteries as easy to access online as the morning’s latest news. The study of Coptic texts has gained attention in recent years, with high-profile controversies including the announcement in 2012 of an apparent Coptic papyrus text that may refer to “Jesus’ wife,” and increased international focus on the political climate of Egypt. Established in 1851 as the first university in California, University of the Pacific prepares students for professional and personal success through rigorous academics, small classes, and a supportive and engaging culture. Widely recognized as one of the most beautiful private university campuses in the West, the Stockton campus offers more than 80 undergraduate majors in arts and sciences, music, business, education, engineering and computer science, and pharmacy and health sciences. The university’s distinctive Northern California footprint also includes the acclaimed Arthur A. Dugoni School of Dentistry in San Francisco and the McGeorge School of Law in Sacramento. For more information, visit www.pacific.edu. The German Federal Ministry of Education and Research (BMBF) has approved Dr. Amir Zeldes’ (Humboldt University) proposal for a young researcher group on Digital Humanities at HU Berlin, starting early next year. The project is called KOMeT (Korpuslinguistische Methoden für eHumanities mit TEI), and aims to apply corpus linguistics methods to ancient texts encoded in TEI XML, focusing initially on richly annotated corpora of Sahidic Coptic. Dissertations within the group will be mentored by Frank Kammerzell, Anke Lüdeling, Laurent Romary and myself. The group will cooperate with the SCRIPTORIUM project that Dr. Zeldes and I presented at our workshop in Berlin in May.